Do private and philanthropic solutions to the problems of education signal the end of state education in its ‘welfare’ form? Education policy is being reformed and re-worked on a global scale. Policies are flowing and converging to produce a singular vision of ‘best practice’ based on the methods and tenets of the ‘neo-liberal imaginary’. Philanthropy, business and the governments are coming together in new networks and sites of policy outside of the framework of the nation state. This book is a first step in recording, mapping and making sense of the most important aspects of these new relations and dynamics of policy. Using the approach of ‘policy sociology’ and the methods of social network analysis, Global Education Inc. explores the policy activities of edu-businesses, neo-liberal advocacy networks and policy entrepreneurs, and of social enterprises and ‘new’ philanthropy. It also addresses the ways in which education and education policy itself are now being exported and bought and sold as profitable commodities and how entrenched problems of educational development and educational quality and access are now being addressed through ‘market solutions’. That is, by the involvement of private providers in the delivery of educational services, both independently and on behalf of the state. 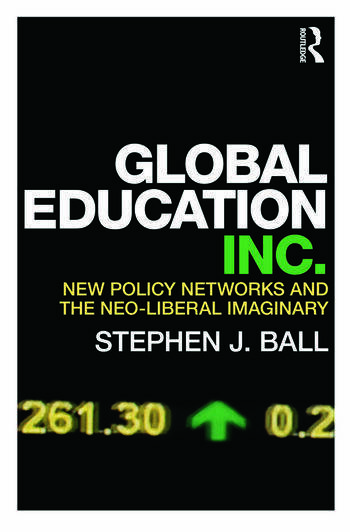 Global Education Inc. is a crucial book that will be of great interest to students of social and education policy and social and education policy analysts and researchers. Stephen J. Ball is Karl Mannheim Professor of Sociology of Education at the Institute of Education, University of London, UK.